If you have these symptoms listed above you should consult a doctor and get a PSA test. 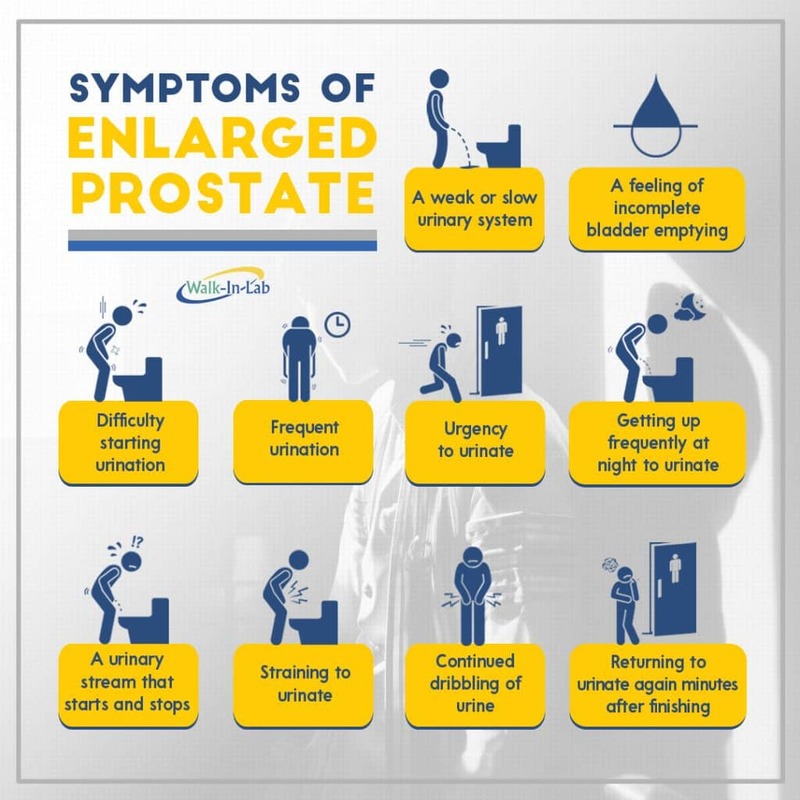 Most men have PSA levels under four (ng/mL) and this has been used as the cutoff for concern about risk of prostate cancer. 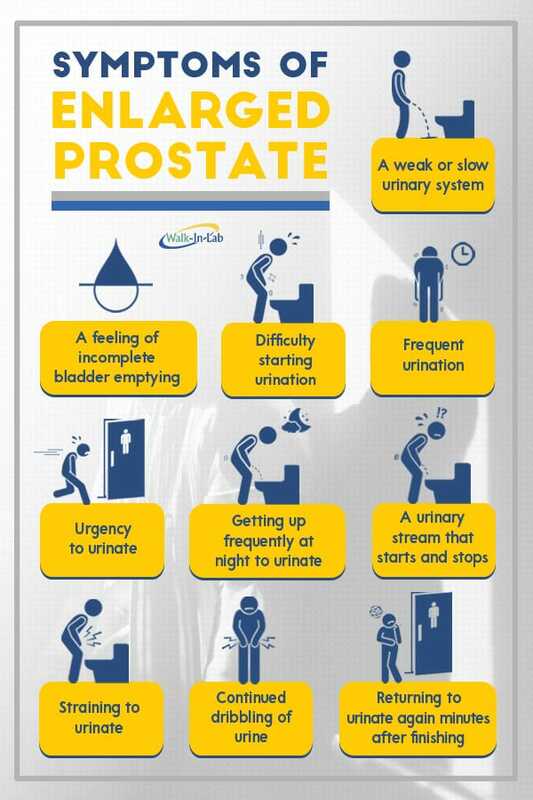 Men with prostate cancer usually have PSA levels higher than four, although cancer is a possibility at any PSA level. Reports state that men who have a prostate gland that feels normal on examination and a PSA less than four have a 15% chance of having prostate cancer, and those with a PSA between four and 10 have a 25% chance of having prostate cancer and if the PSA is higher than 10, the risk increases to 67%. In general, serum PSA levels increase due to physical changes to prostate architecture caused by trauma, infection, inflammation, prostate manipulation, benign prostatic hypertrophy (BPH) or malignancy. The PSA test is often recommended as a yearly screening for men over the age of 50. Those with a family history of prostate cancer may wish to begin screening earlier.